If you've read my story on the Indian Chieftain, the top model with bags and loads of equipment then you know most of the story already. The Classic wears the same valanced fenders and much of the bodywork and details minus the huge fork mounted fairing on the top model. Where it differs is obviously equipment though it still gets keyless ignition and stuff. And in the frame. 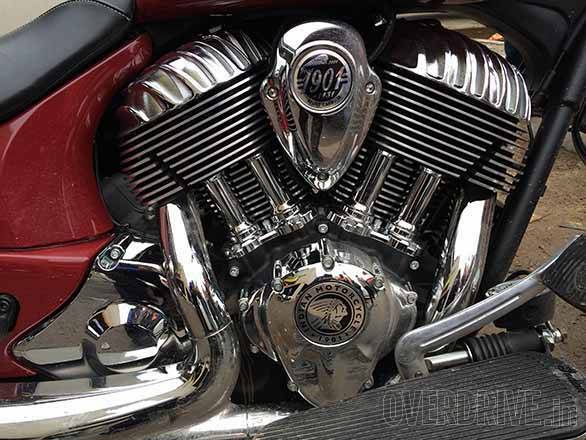 You see, the Chieftain uses a negative fork offset to lighten steering effort to balance the extra weight of the massive fairing. 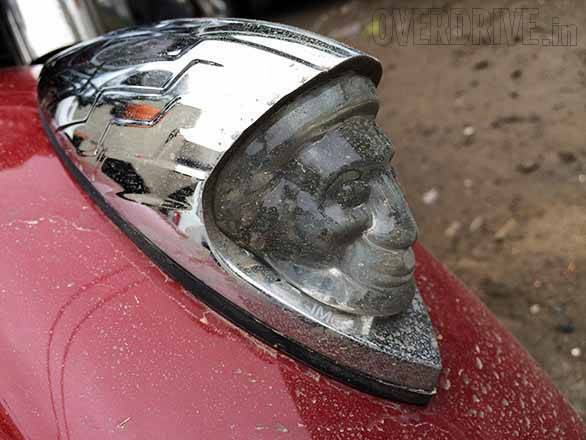 The Classic, therefore, feels a little heavier to steer than the top model. You'll feel it more in slow turns than anywhere but it's there. On the other hand, the Classic is still a marvelous cruiser to ride. Build quality and finish levels are exemplary and the presence the bike has is hard to overstate. The motorcycle is huge. It feels like it is ten feet long when you stand next to it and once you get on the impression of this being a motorcycle of considerable size is hard to escape. And you wouldn't want to either. It's one of things that you'll love about it. The Thunderstoke 111 is a marvelous engine. It's super smooth and torque is in abundance no matter how you ride it. Its voice is distinctive and easy on the ears and I saw as much as 160kmph without strain or effort. The gear shifts are a little clunky but I expect it to get smoother as time passes. With pneumatic preload adjustment (though not remotely like on the Chieftain), the ride quality is genuinely great and handling, despite the massive wheelbase, is appealing. The Chief peels into corners with great enthusiasm though the long wheelbase naturally makes it hard to change direction anything other than steadily. Agile it isn't but its responses are far from glacial. As in it will be amongst the very best handling cruisers I've tested yet when we road test it. Indian price their motorcycles at the premium end of the market with the Classic being Rs 26.5 lakh ex-showroom, while the Chieftain is Rs 33 lakh. The middle model, the Vintage gets a screen and leather saddlebags and will cost Rs 29.5 lakh. Indian, owned by Polaris, plan to start their sales with a dealership in Delhi in the next two days followed by a dealer in Bangalore. Indian expects the sales to be about 20-30 units a year to start with. That's 10 per cent share of the above 1600cc import class as the manufacturer defines it. A dealership in Mumbai will follow. 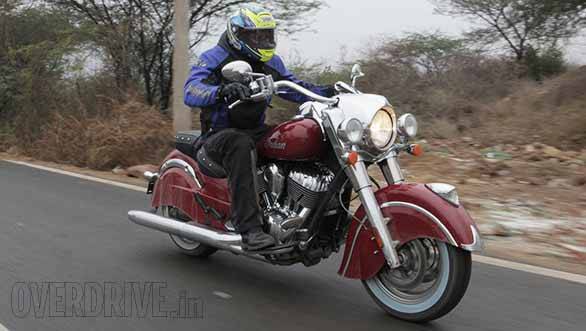 Indian currently has only the three Chief models in their range but more models will show up starting later this year. 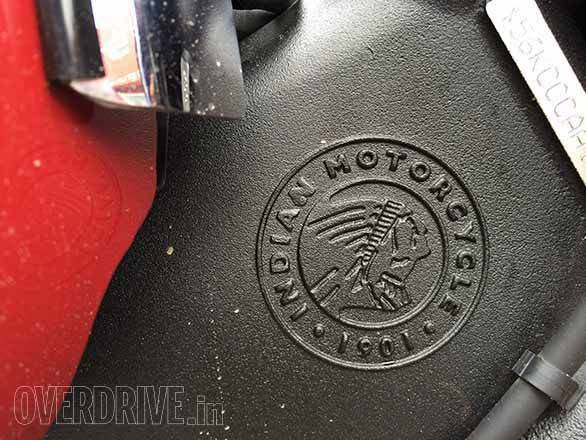 OVERDRIVE broke the story that the brand was coming to India and we were also the first to ride the Indian Chieftain. You can see our story here and quick video introduction to the Chieftain here. 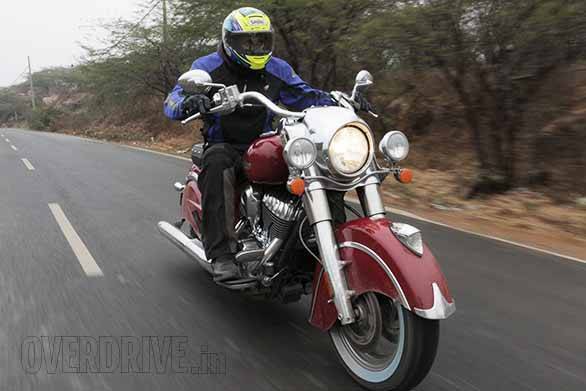 Also read our first ride impressions of the Indian Chieftain in India here.